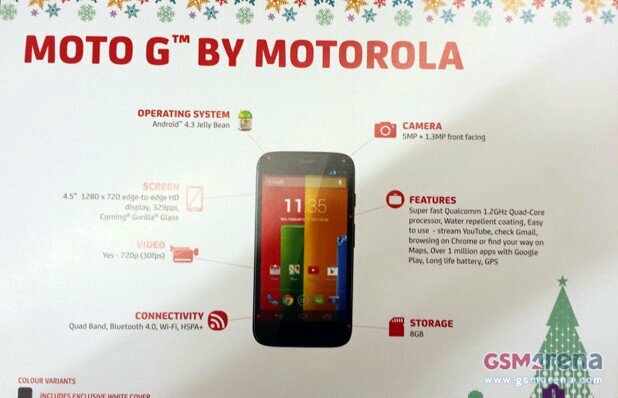 We have already seen the leaked Phones4U card that shows us what the spec sheet will be like for the Motorola G and now we know when it will arrive. 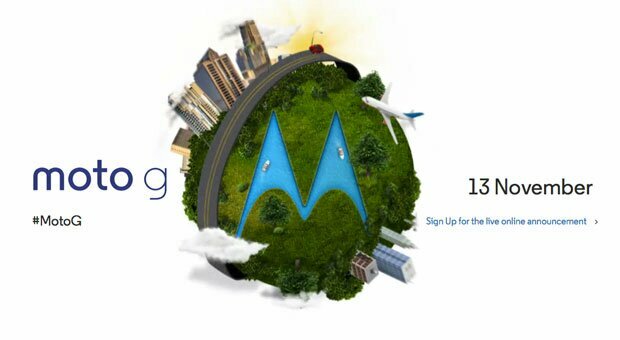 Motorola have confirmed that the new smartphone will be launched November 13th and the company is inviting users to sign up to learn more next. The leaked card told us that the cheaper alternative to the Moto X will come with a 1.2GHz quad-core Snapdragon CPU, a 5-megapixel camera and 8GB internal storage. So in what seems to be the norm now we know all about the device before it’s launch. Will we ever get a surprise again?